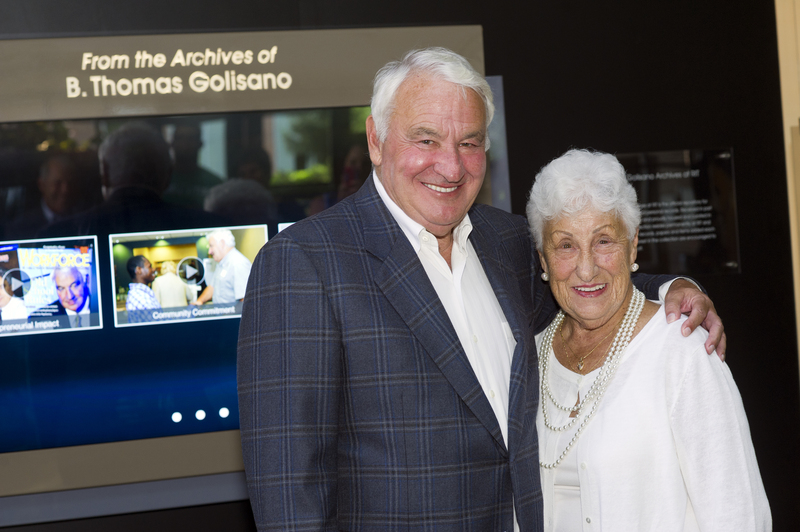 The family of entrepreneur and philanthropist B. Thomas Golisano selected Rochester Institute of Technology as the home for the leader’s personal and professional archives. The collection is housed with the RIT Archives Collection in The Wallace Center. A multimedia display is on view for the public to see in the atrium of Golisano Hall, the home of the B. Thomas Golisano College of Computing and Information Sciences. The archives include photos, newspaper clippings, memorabilia and even thank-you notes from children. The collection celebrates Golisano’s entrepreneurial impact, political campaigns and reform efforts, and philanthropy, preserving records of his professional and public service experiences. 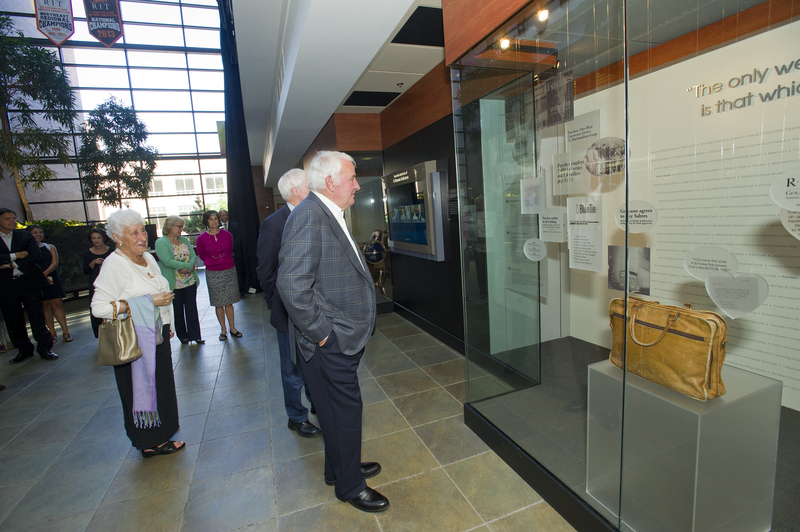 In the public exhibit, visitors can see a replica of his office, his first briefcase and videos on major aspects of Golisano’s contributions to business and the community. Golisano launched the payroll processing company Paychex in 1971, which now employs more than 12,000 at its Rochester headquarters and at 100 locations across the country. He also has supported a long list of companies such as Pictometry, BlueTie and Safesite and is the former owner of the Buffalo Sabres. He is a founding member of the Independence Party of New York and ran on its ticket for governor of New York in 1994, 1998 and 2002. Golisano’s personal philanthropy has now exceeded a quarter billion dollars. His most recent gift in July 2015 was $25 million to Special Olympics International to improve health outcomes for people with intellectual and developmental disabilities in countries around the world. This was the largest private gift in the 47-year history of Special Olympics and the largest single gift made by Golisano. 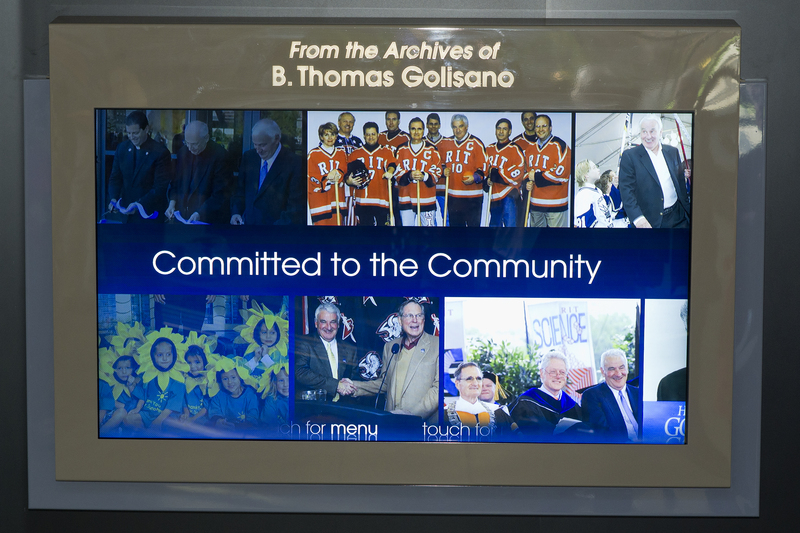 Golisano’s history of giving started when he launched the Golisano Foundation in 1985 with an initial gift of $90,000. Today, the Foundation has more than $32 million in gross assets and has awarded more than $20 million in grants to nonprofit organizations primarily in a multi-county region surrounding Rochester, N.Y., serving people of all ages with intellectual disabilities. The Foundation is celebrating its 30th anniversary this year and has grown to become one of the nation’s leading private foundations dedicated exclusively to helping people with intellectual disabilities. It has opened doors, changed perceptions and forged partnerships to provide individuals with intellectual and developmental disabilities with pathways to self-sufficiency, personal dignity and the best possible expression of their abilities and talents throughout their lifetimes. “Our 30th anniversary celebration is a true celebration of partnerships among the Foundation and the diverse group of organizations, programs and services we have supported in health and wellness, education, employment, sports, the arts, awareness, mobility and accessibility, and recreation,” said Ann Costello, director of the Foundation. Golisano also has contributed to numerous health care institutions in New York and Florida, including donating more than $34 million for two expansions of Golisano Children’s Hospital in Rochester. Golisano’s involvement with RIT makes the university an ideal site for his archives. Along with the computing college, Golisano’s support created the Golisano Institute for Sustainability. If you have unique items related to Golisano’s entrepreneurial impact, community commitment or philanthropy, contact Simmons at raswml@rit.edu.